From Greeley Coloradio this station enjoys top ratings in their market broadcasting an Adult Standards/Lite Hits/ Variety Format. They are great example of Community involvement. The Montana Radio Café front porch, and home of the Johnston Family, is located in the pristine setting of northwest Montana. We sit just west of the Swan Mountain Range and Bob Marshall Wilderness, outside the center of Kalispell, and only 30 minutes from Glacier National Park. This station is nonprofit, owned and operated by The Denver Foundation, Bob’s last and most personal legacy. He loved West Virginia and wanted his foundation to help families dealing with special needs, autism in particular. 100% of the proceeds generated by sponsorships on Little Buddy Radio go into The Denver Foundation to help with the work we’re doing on behalf of this cause. The Lost Goldmine | Chris Compton, the craziest and funniest DJ on the radio is here on KFXM. 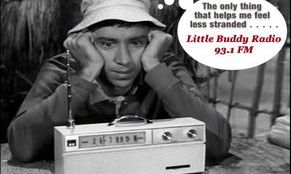 Listen to Chris at nine o'clock to noon on Saturday, and after Chris, listen to Johnny Helm until three. KOCI is proud to play a great mix of Classic Rock and Blues, and a whole catalog of songs you may not have heard in years. 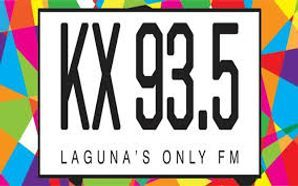 The non-commercial, FM community radio station of Laguna. Playing Generational Alt Rock from the 1960s to today. 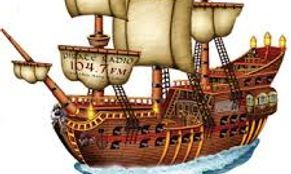 A community focused radio station that transmits 24 hours a day, 7 days a week and uses no satellite feeds. The station is fully funded by the community it serves through the non-profit corporation, Payson Council for the Musical Arts, Inc. Operated by listeners and residents of Estero Bay in California's Central Coast, 97.3 The Rock went on the air at 1pm Saturday March 29, 2014: the beginning of community radio for all of Estero Bay and beyond. A communty based radio station playing a variety of classic rock, with a talk radio schedule as well.